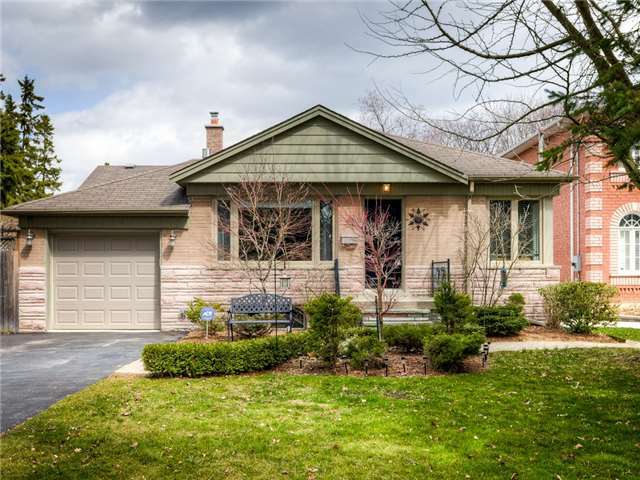 Spectacular 3 Br Home On A Sprawling Mature Treed Lot Across From Highland Creek Ravine. An Impressive Array Of Birds, Deer & Sounds Of Nature Year Round. Showcased Is A Sunken Master Br Retreat W/Vaulted Ceiling, Gas Frpl & French Drs To Deck. 2 W/O’s To The Breathtaking Backyard Oasis Which Features An I/G Pool, B-I Bbq/Granite Bar, Poolhouse/Tiki Bar & Private Garden W/Pergola & Frpl. $$$ In Custom Millwork In Liv Rm, Media Rm, Rec Rm & Mstr. Shows 10+!